When I’m this impressed with something, I have to share it. Tupperware has brought out something which exceeds the popular Happy Chopper. People who’ve had both, love the new Turbo Chef the best. If, like me, you hate having dozens of single-purpose gadgets cluttering your kitchen, you might be wondering whether it’s worthwhile. In short, it is. So impressed am I, that I’m looking at buying another two for gifts this Christmas (just don’t tell Mum & Nanna). 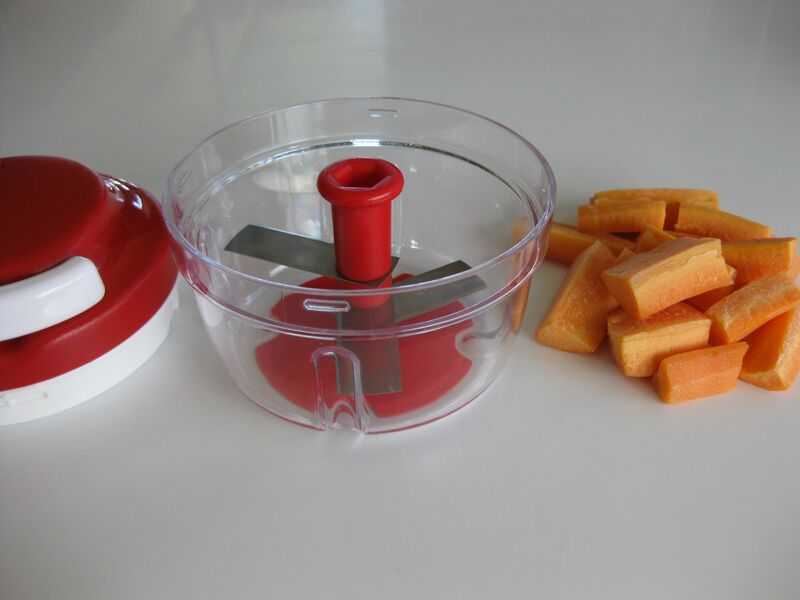 I use it every day to cut up onions, carrots, apples and garlic. It’s also handy for making pesto & chopping nuts. Kids can help, because there is no way they can cut themselves on any moving parts (and an adult would handle the blades) or electrocute themselves. All they do is pull the chord. After about 15 spins, a finer chop. 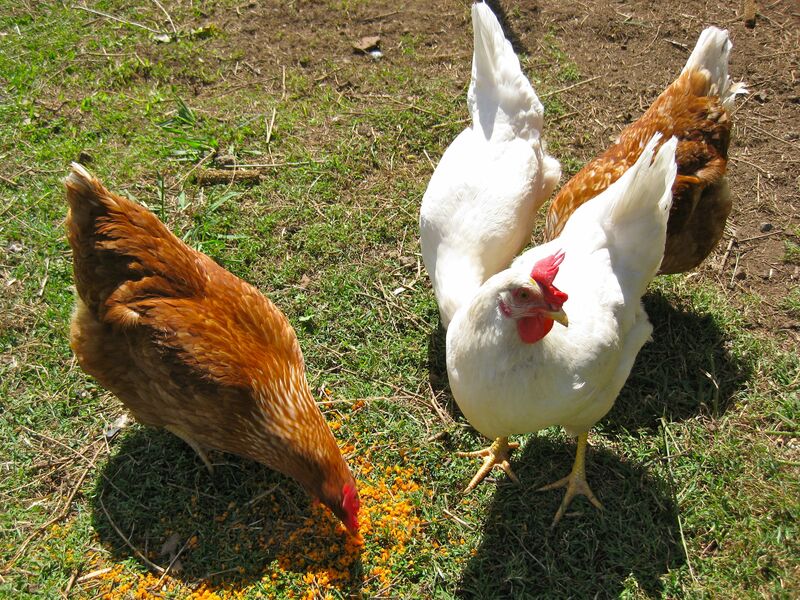 Carrot, just as the chooks like it. * comes with a good lid that seals (not pictured). 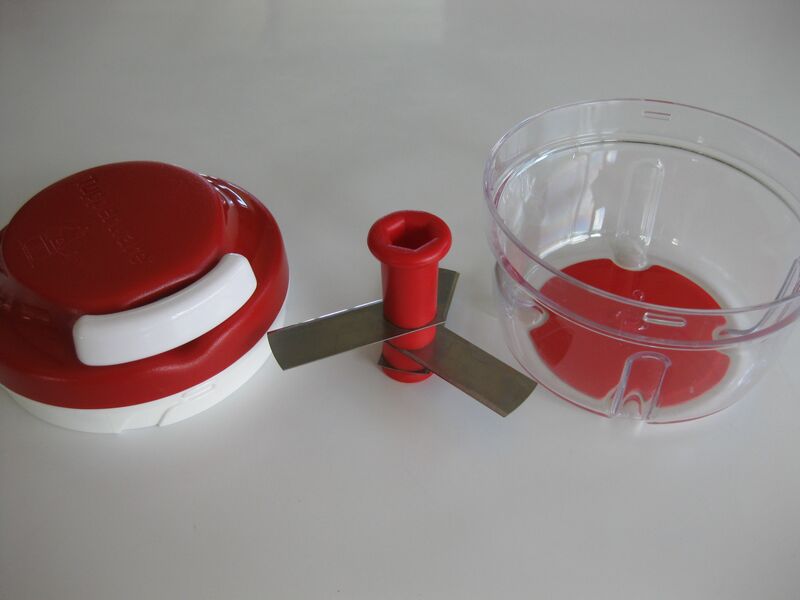 * blades not covered by Tupperware’s otherwise awesome lifetime guarantee. Or, Tupperware 1800 805 396. P.S. 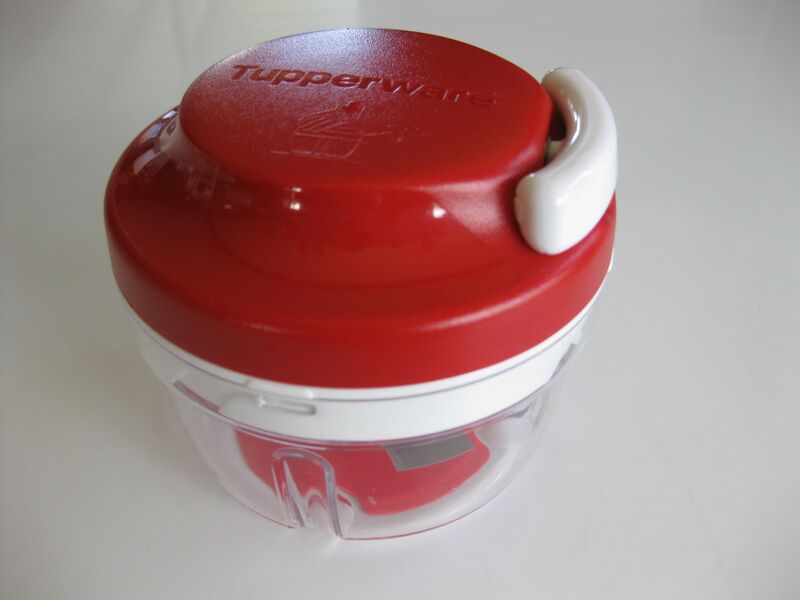 I have no relationship with Tupperware or any of its sales people and accrue no financial or other benefit in reviewing this product, or any others on this blog. 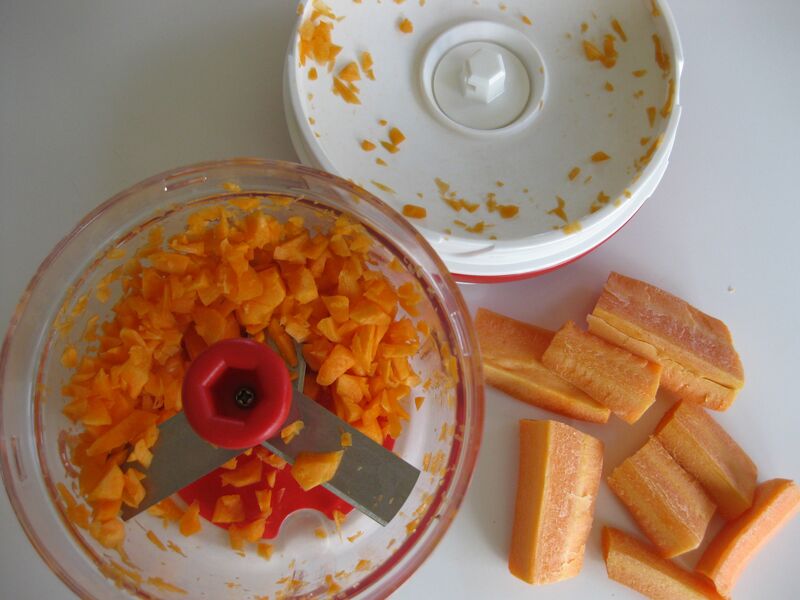 HAVE YOU USED THE TURBO CHEF YET AND IF YES, WHAT DO YOU USE IT FOR? UPDATE: The Turbo Chef is dishwasher safe (top shelf) although Tupperware recommends against putting the blade in the dishwasher. UPDATE: I have 3 x Beauty & The Geek calendars to give away to readers commenting on the blog. They’re hilarious & I can’t possibly keep them to myself. Congratulations to Samantha – you get the first one! UPDATE: 9:16pm Second calendar accounted for – Reader L came up with an amusing (but unpublishable!) use for the TC. Very impressed with this article as a Tupperholic! Am dying to know though, as one who already owns a happy chopper, I would love to know the difference. It seems more hardy as it seemed to blitz through the carrots which the chopper struggles with. What about size or anything else??? 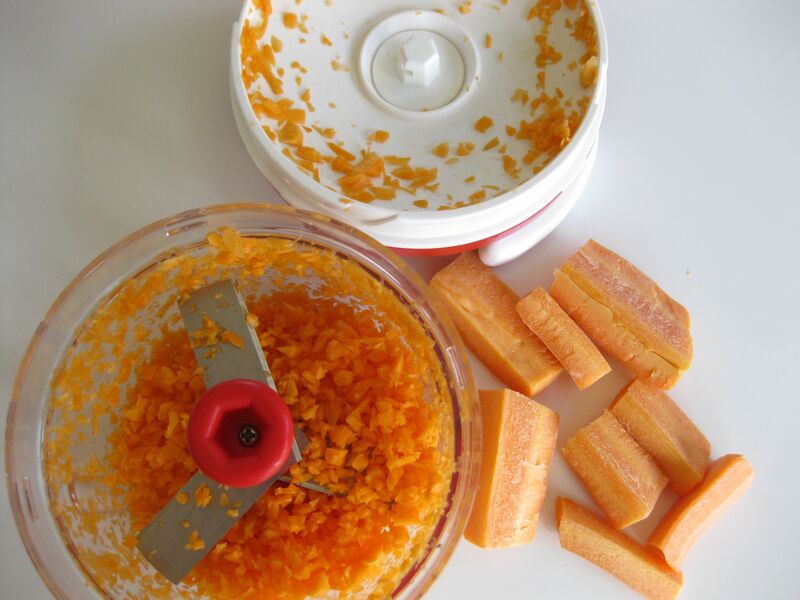 FYI though, if your blades do blunten you can sharpen them with a knife sharpener, I used the Tupperware sharpener for mine after blunting them by putting them in the dishwasher all the time. But mostly, remember if they aren’t working like they used to or you lose them or they get damaged, you can just replace the blades without having to buy the whole thing. 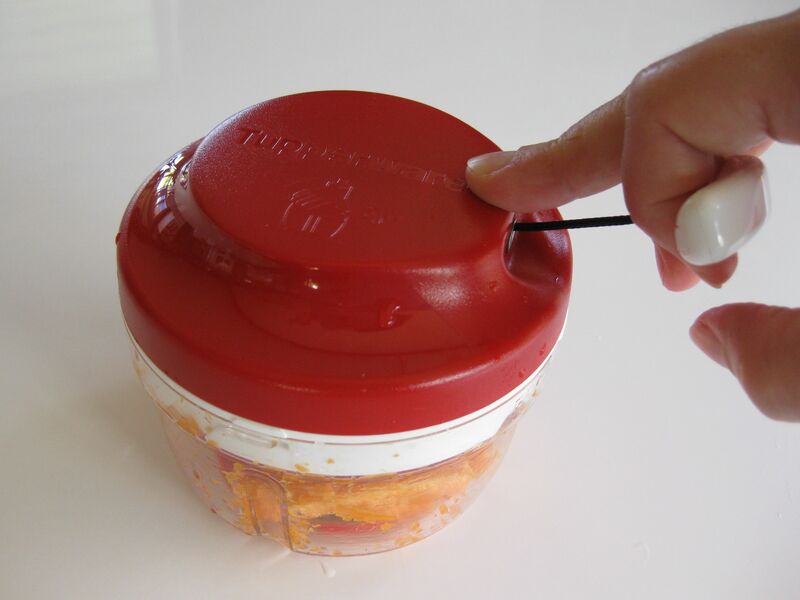 Just remember that Tupperware comes with a LIFETIME guarantee. All the parts of the Turbo Chef (excluding the blades) are covered under this warranty!!! The difference between the Happy Chopper & Turbo Chef is the TC has triple blade & the blade is much faster, using the mower type pull chord option. Whereas the HC is more manual and therefore not as efficient. It’s great for onions. You do need to cut them into quarters to fit them in, but after that, you have a good degree of control over how finely it chops. Hope that helps.